We Build Application to Enhance The Security. 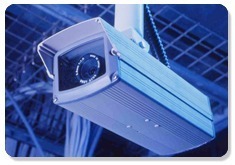 We Provide CCTV (Camera) Installation As Well For Monitoring. Aries Ingeniería is a 100% independent Spanish-owned engineering company specialized in the development of passive safety test system and infrastructure. G4S Aviation Services offer a blend of products and services to cater to clients’ requirements. The company provides customised solutions to the specific needs combined with optimal mix of trained & skilled workforce in combination with electronic security and ground handling services. With the assistance of our adroit professionals, we are engaged in providing Safety Solutions Resources . This service is rendered by our professionals keeping in mind precise requirements of clients. Network security is essential. LAN switches provide the first line of defense against internal security attacks and also prevent unauthorized users from entering the network. • Fire detection & alarm system. • Video Door phone System. Wide range of models to suit various applications like car parking sites, condominiums, toll collection and industrial entrance. Highly compact in size have extremely silent operation. Sturdy steel structure with scratch-proof coating resistant to harsh weather conditions. Being one of the prominent names of the industry, we are providing our clients with a huge range of Smart Classroom Integrated Solutions. We deliver a wide collection of classroom material, which helps in enhancing retention and managing the classrooms in the most efficient manner. It leads to improved learning outcomes. One can avail these solutions from us at nominal price range.